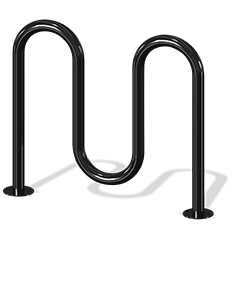 The Park and Facilities Catalog offers a large selection of reliable commercial bike racks in several secure models with durable finishes. 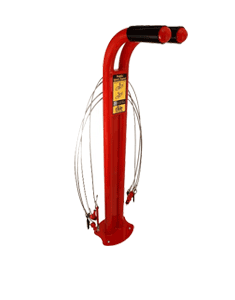 Most people use commercial bike racks and outdoor bike racks to keep their bikes secure. 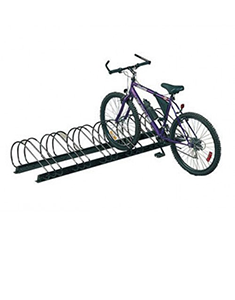 However, both the bike and the rack are subject to theft if the bike parking rack isn’t properly mounted. The rising value of scrap metal, mixed with the nation’s continuing job crisis, has caused some desperate thieves to start stealing bike racks right off the corners of many American sidewalks. Outdoor bike racks that are not mounted are the easiest targets for obvious reasons. But if improperly mounted they can also be dislodged or removed. Because most stolen commercial bike racks are sold for scrap, the thieves don’t worry about damaging the bike rack itself. 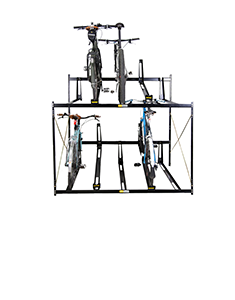 This means they will often simply back their car into the outdoor bike rack to quickly free the poorly-mounted bike rack from the ground. How do I know which mounting option to choose? 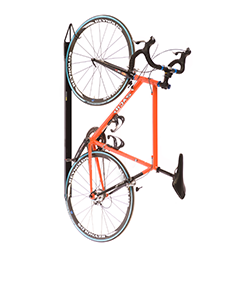 Portable- A portable mount is required if you would like to move the bike parking rack from one location to another. 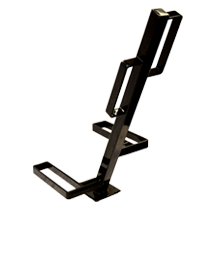 This is a non-permanent mount that will just allow the product to rest on a flat level surface independently without anchoring. Surface Mount- The surface mount option is meant for the customer that wants to anchor the bike rack down so it is semi-permanent. This mounting option requires a concrete or asphalt surface in order to anchor bolts into the mounting surface. The surface mount option is one that can be flexible. 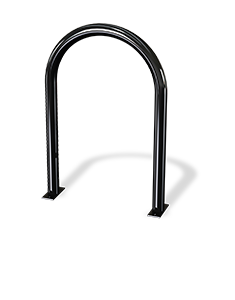 If you want to relocate an outdoor bike rack, you just need to remove the anchor bolts and relocate the product to the location of choice. 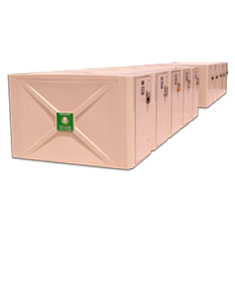 In-Ground-This mounting option is the most permanent of the three mounting options. The most common placement for an in-ground mount is in a grassy area or in an area the will have a future concrete pad. This mounting option requires more labor than the other two mounting options since a predetermined number of holes must be drilled a minimum of 16” below grade, then concrete must be poured in each hole and the frame must be set in the concrete overnight for curing. Once the concrete has cured overnight, then the rest of the components can be attached to the already installed frame. This is a permanent mounting option and cannot be relocated once installed. There is a word of caution when utilizing in-ground mount. 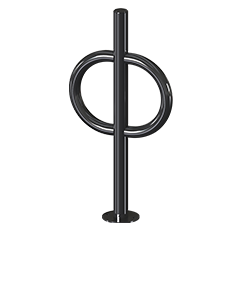 If the bike parking rack is not at the proper depth below grade, then thaw and freezing conditions can boost the product out of the ground. For organic materials such as mulch, dirt and grass, you will need a bike rack with a freestanding option, or you may decide to pour concrete. How much space should I provide to allow enough room for easy access to bicycles? A typical bike requires a 1’ x 6’ area to park efficiently and still allow easy access to each bike. Some municipalities are now making room for bicycle racks by taking one or two parking spaces downtown. Experts from the Association of Pedestrian and Bicycle Professionals say replacing an auto parking space with a bike corral can accommodate from eight to 12 bicycles, reducing congestion and pollution. Adding more bicycle racks in a municipality also encourages more cycling which drives down health care costs. Note: If you need bicycle parking racks quickly for your location. Call us! 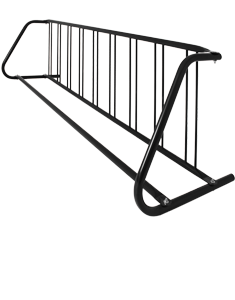 We have a sizable inventory of commercial bike racks in stock and can be shipped in as little as 3 days! 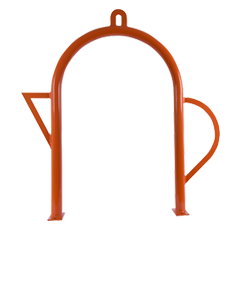 Call our knowledgeable staff for assistance - they are experts when it comes to commercial bike racks for schools, parks, businesses, universities, apartment buildings, commercial buildings and other outdoor and indoor locations. 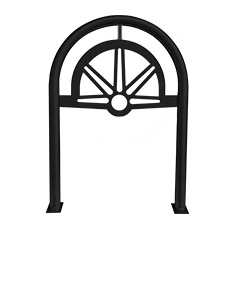 We offer commercial bike racks for short-term and long-term bicycle parking.